Investigation and Reason Give Understanding. Select a category from the drop-down list atop the sidebar. Select a post from the Post Archive in the Sidebar. New innovative technologies and inventions. This post describes how to make a condensation free bathroom mirror using an automatic mirror heater. See the one I made in 2007 here. Look carefully and you will notice the condensation around the edge but not in the central heated area. Without a heater it would be impossible to use the mirror without first wiping it with a towel. Cold mirrors usually mist over again after wiping. 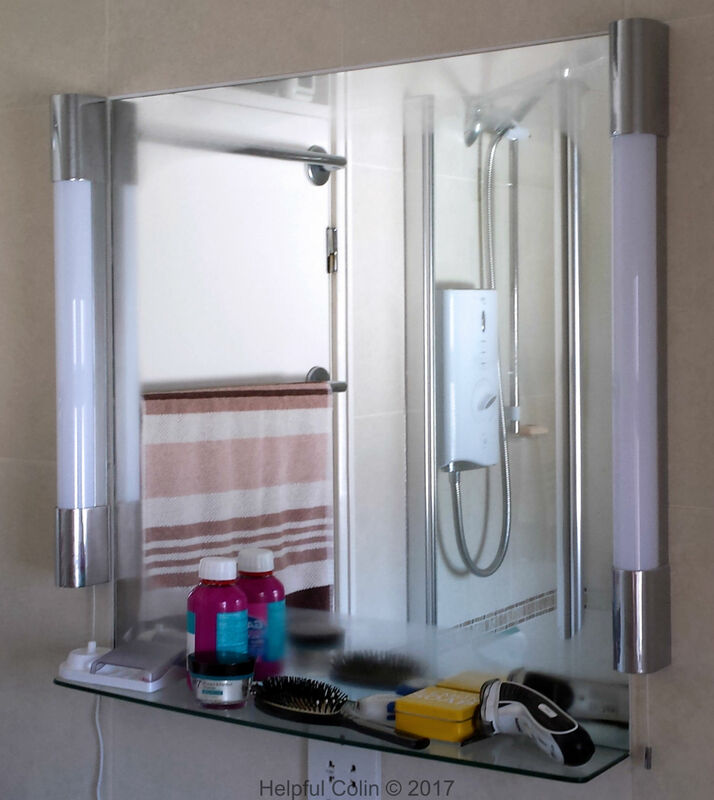 With an active mirror heater it’s possible to get straight out of a bath or shower and use the mirror immediately. We all know it’s a bit of a pain cycling up steep hills especially on your journey to work, but CycloCable gets bikes up that hill. You can see more detail about how the ‘CycloCable gets bikes up that hill’ at Gizmodo. Better still why not nip over to the Poma CycloCable® Page to read more about the system. Why A New One Pound Coin? Both robust and secure, its issuance protects the reputation of a country, projecting a positive image of the nation and its economy. It will reduce costs by replacing expensive clad and homogeneous coins with a more affordable full-plated option. It will generate lifetime cost savings through unmatched durability, lasting up to 30 times longer than an equivalent value banknote. Read more about this new coin at The Royal Mint. Here in the BBC News Magazine is an article explaining how you can identify a fake one pound coin. Actual £1 Coins – NOT the same as the original design. Note: Below the Queen’s head is a shield with an embossed £ sign. This wasn’t on the original design. They were put into circulation on 28th March 2017. Old £1 coins will no longer be legal tender from midnight on 15th October 2017. However after that date they can be deposited into a bank account. That will enable people to recover the value of any horded coins found. There is still a problem with vending machines, in particular those ticket machines in car parks, which have not yet been modified to take the new coins. Old £1 coins are already in short supply making the use of such car parks difficult, especially at the seaside now the holiday season is in full swing. Watch Murata Girl and Murata Boy. They use stabilizing gyroscopes and camera technology. These are bike riding robots which perform some amazing riding skills without falling off their bikes. Murata Girl is the one on the monocycle. I've Spilt Paint On My Patio Slabs. What Will I Do? The launch date has been delayed AGAIN until 30 March 2021. Find out more. Find out all about the JWST from NASA. They’re running the show with some help from the European Space Agency and the Canadian Space Agency. 1st February 2019: I have just deleted a file named wordfenceScanner.php.bin from my PHP .opcache folder on my server. Wordfence had detected it contained the TimThumb script which is considered to be unsafe. I must look into methods of cleaning my PHP cache. It looks as if it contains some outdated files. 2nd January 2019: Again I couldn’t get my WP v5.0.1 to update to v5.0.2 so I followed Wordfence’s instructions and upgraded it manually. I made a good job of it and searched for the cause of the problem. It turned out to be caused by the plugin DGXPCO which is designed to improve Core update security. Hopefully if the Core updating server got hacked and a false Core program was sent this plugin wouldn’t allow it to be applied due to manual intervention. Well that manual intervention failed to allow valid Core updates through so I have deactivated that plugin for the time being. 21st December 2018: I just upgraded my server from PHP 7.2 to PHP 7.3. I had an immediate problem with the plugin Taxonomy List Widget. I have sent a comment to the author Erick T. Hitter asking him to look into it. Otherwise so far so good. 14th December 2018: Having experimented with the new Gutenberg editor for over a year I was finally able to update WordPress to version 5.0.1 with Gutenberg in core yesterday. 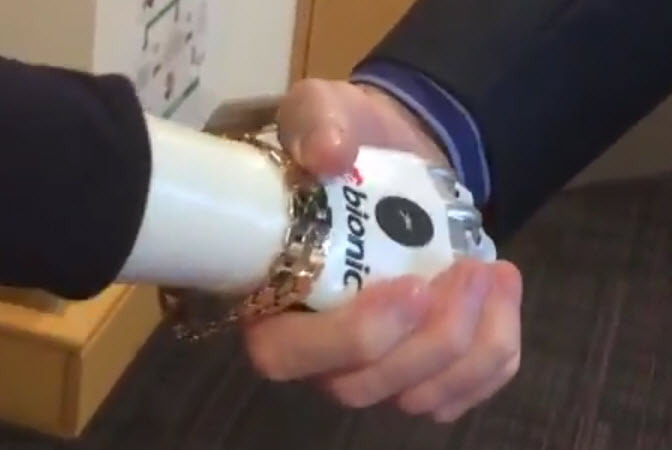 I couldn’t do it last week due to a technical hitch resolved by 1&1 IONOS. I then deleted the Gutenberg plugin, which had already been de-activated by the update. That caused a block editing problem where I only had Classic Paragraphs instead of Gutenberg Paragraphs. That was resolved by me de-activating TinyMCE, a plug in to enhance the original editor. I can now report that I have adjusted some posts created or edited using various versions of Gutenberg to be editable using version 5.0.1. Continue to My Latest News Archive. Examining The Recoil Force In A Bent Straw. I Built A Patio Extension For My House Extension. Water Proof/Resistant Adhesives I Use. • Make an Item Selection. • Make a Context Menu Selection. • Comment on a post. • Reply to a comment. • Add a post to Internet Explorer Favourites. • Add a post to Chrome Bookmarks. Chris Wolf (drAnalog) – Web Page Designer. G. R. Day Driveways – Derby. R.F.Potts (electronics) – Derby shop. WE KEEP THE CITY RUNNING – Band. ACD Systems International Inc. for ACDSee Pro. Akismet for filtering out SPAM from comments. Oxford Dictionaries for helping me with my English. TechSmith Corp. for Snagit Screen Capture. TOKI WOKI for Shrink O'Matic. Topaz Labs for Topaz Adjust. Vimeo for hosting my videos. Wordfence for defending my WordPress Blog web site. Yoast for the Yoast SEO plugin. Helpful Colin is not responsible for the content of external sites. The site helpfulcolin.com was originally built in September 2011 by Digitalog© using the Side Blog theme and handed over to Helpful Colin by his mentors (see their links below) in December 2011. It was changed to a ‘Twenty Fourteen’ child theme in February 2014 by Helpful Colin. The latest major change took place in December 2015 when WordPress version 4.4 became active and Helpful Colin changed the theme to the ‘Twenty Sixteen’ theme which is designed to look good on all screen sizes. Although this may have improved the blog for mobile users it has removed some functionality available in ‘Twenty Fourteen’. Currently Helpful Colin receives no payment for advertising on this site and there are no advertisements placed on it, except those seen via links to other sites, e.g. YouTube. References to businesses are sometimes made when they are the source of materials used by Helpful Colin and to be fare other businesses which may be able to supply the same or similar materials are mentioned where practical to do so. Articles in this blog can receive comments by third parties. All comments are vetted by Helpful Colin before publishing. Comment Spam is filtered by the Wordpress plugin Akismet.